Date: June 14, 7.30 p.m. Entrance: admission is free, but registration is required. Register via info@tijdschriftkunstlicht.nl, subject: SMBA. On June 14th, 2016 Kunstlicht will host a public debate concerning the closure of SMBA in its current form. We are joined by invited speakers from the world of art and anthropology to publicly evaluate this incident against the backdrop of recent developments in the art field of the Netherlands. Kunstlicht intends to instigate a constructive dialog regarding the current formation and re-formation of art spaces in Amsterdam and the impact this has on the artists involved. 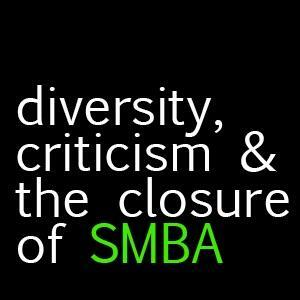 We see the closure of SMBA as an occasion to raise questions that concern the presence of diversity and criticism in the art world and in society at large. Read more on the website of Kunstlicht or on Facebook.